That time of year after all the Christmas celebrations are over can be just a bit bland. You know – from a diary full of fun it’s all too easy to end up staying in, detoxing and trying your best to cut the calories and the booze. I’ve got nothing against that, in moderation. But, isn’t it good to have a BIT of fun. 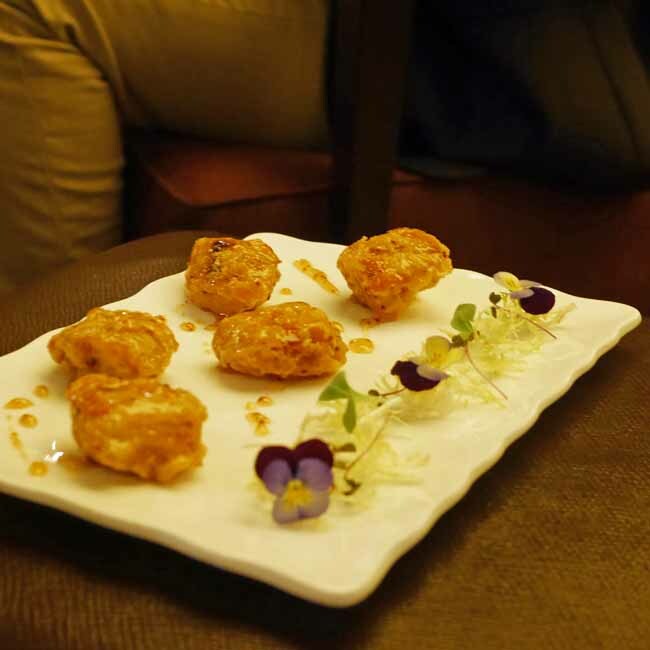 I hosted a competition for Jumeirah Carlton Tower before Christmas and they were kind enough to invite me along to sample cocktails and bar snacks in the Rib Room Bar at the start of January. 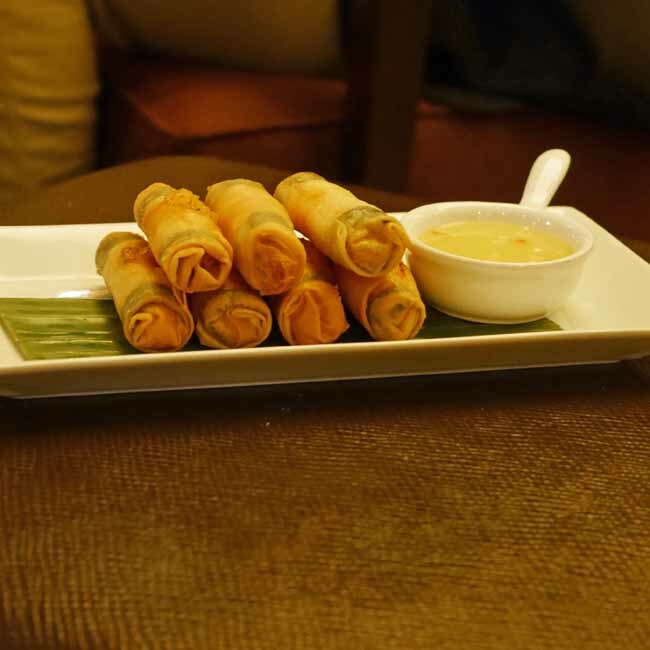 I’ve been to Jumeirah Carlton Tower before, for meetings in their Chinoiserie tea room, but I’ve never been to the Rib Room, so I was delighted to take them up on the offer. 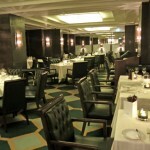 The Rib Room and Bar is just off Sloane Street in the Jumeirah Carlton Tower Hotel. 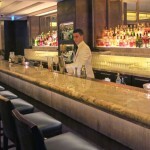 It’s an elegant and luxurious hotel, so unsurprisingly the Rib Room Bar reflects the ambiance of the rest of the hotel very well. 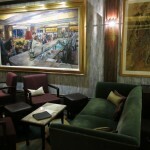 Comfortable seating, modern decor and a stunning and well stocked bar. My choice of course, was a champagne cocktail. This one is Grey Goose. 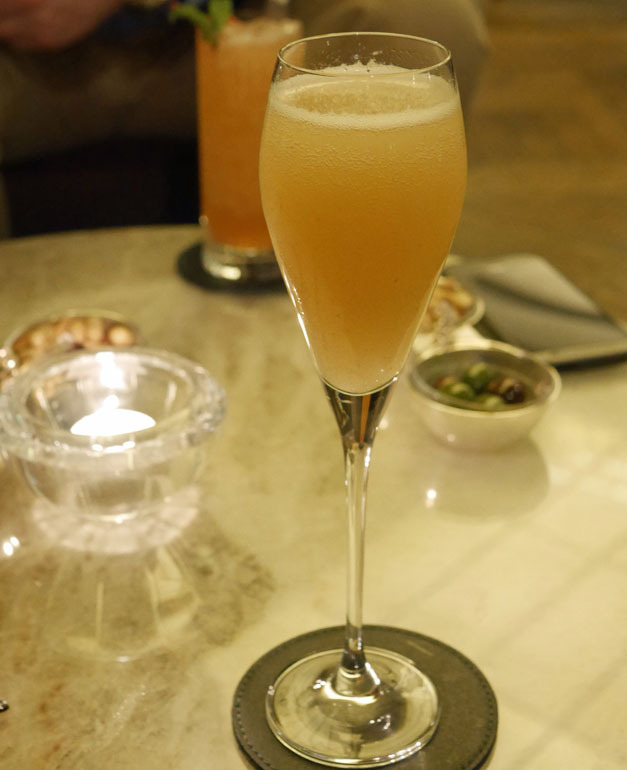 But, if you prefer something different, they do have an excellent range of short and long cocktails and of mocktails. I know they are also introducing a selection of low calorie cocktails, perfect if you are trying to keep to a diet but just need an evening out. They also have bar food that goes well beyond the normal salt and vinegar crisps, olives and nuts. Feeling a little indulgent we ordered a few platters. 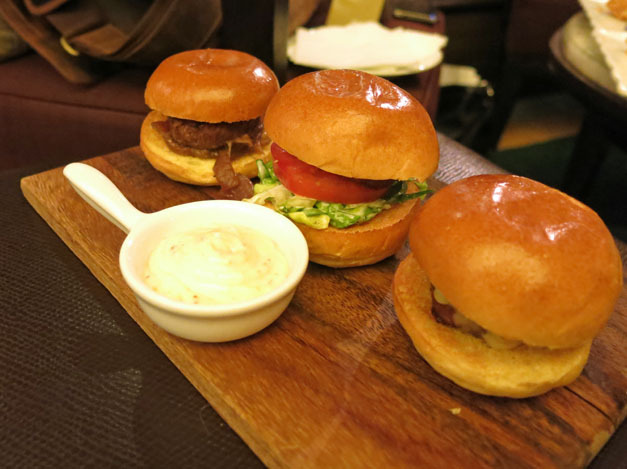 Three sliders – a classic mini burger, one with caramelised onions and a cheese burger. 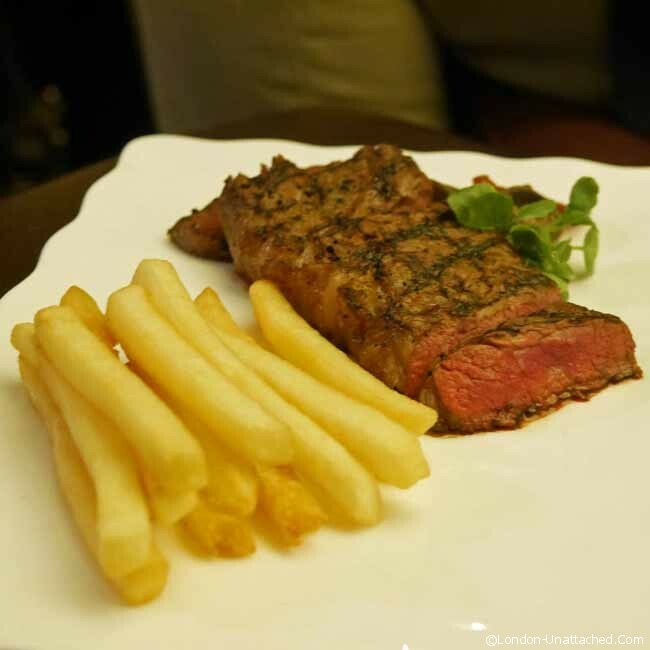 And, for me the best dish of the evening – a minute steak with fries – which we asked for ‘rare’. Managing to produce a rare minute steak that is still piping hot is quite a challenge because you really don’t need to cook the steak for more than a minute. Over cooked you’ll end up with shoe leather rather than steak. Ours was tender and rare in the middle, beautifully presented and really well flavoured. After trying a selection of cocktails I was in need of coffee before I tried to make my way home. 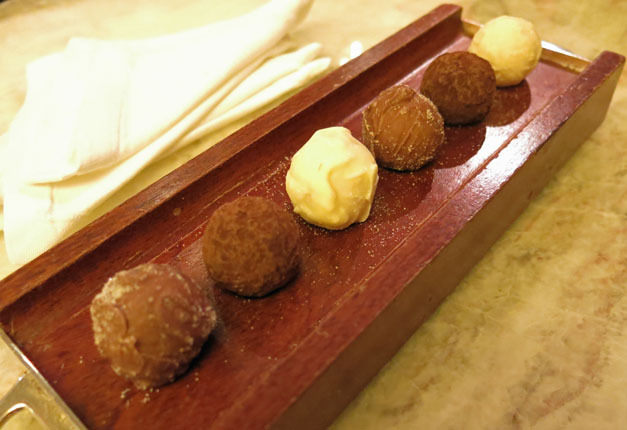 Chocolate truffles to accompany were a suitable finale, rich, high quality chocolate with a crisp outer shell and a creamy ganache filling. 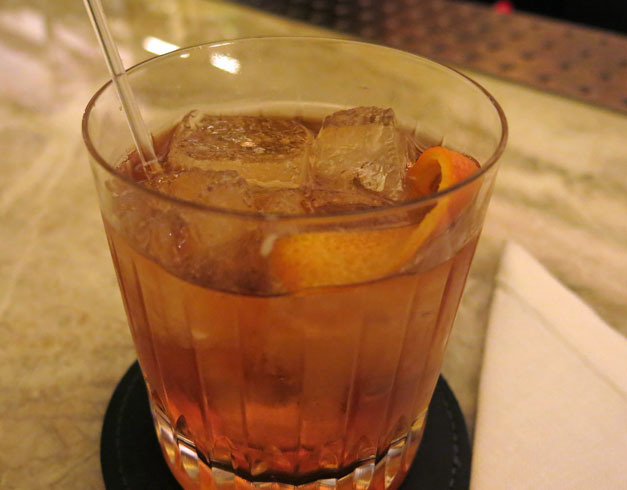 The Rib Room bar turned out to be an unexpected delight. Of course I’d anticipated great cocktails. And, I’d hoped for a comfortable place to enjoy them. I didn’t expect such good food and I didn’t expect the prices to be so reasonable. 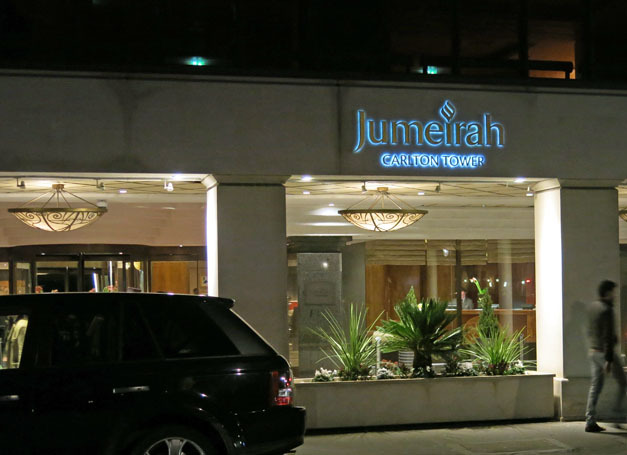 While I was the guest of Jumeirah Carlton Tower Hotel, a thank-you for helping to promote the Christmas competition, I was suprised to find that the bar snacks we enjoyed were mostly around £12-15. 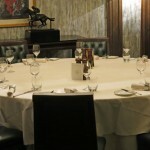 With mocktails at £8 and most of the cocktails around £15 it would be a great place to meet up with friends for a relaxing evening. They are introducing a range of ‘sip smart’ cocktails for January and February, with less than 120 calories each. And a Sashimi platter to share for £20. A great way to enjoy yourself without over indulging. This is very elevated bar food..all with elegant presentations. That goose and champagne is perfect for Fiona! They had your number. This looks astonishingly luxe. I love it. What a great way to experience that space with some great cocktails and food! YUM!